Jarritos does such a great job making sodas that we’ve reviewed every one of them so far… except Strawberry. Our bottle of strawberry was lost to some goblins in a fan’s house. One day… one day. Any who, imagine my joy when a fan of ours, “AX2”, brought me a bottle of Jarritos Mexican Cola. I wasn’t even aware Jarritos sold a cola in the United States so I had to research. 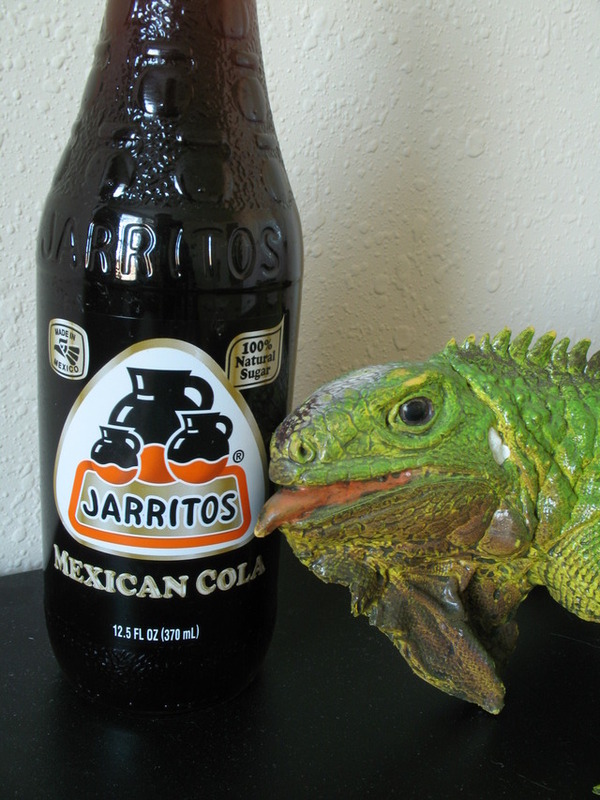 What I found was that Jarritos Mexican Cola had run an ad campaign with the sentence “It Crossed!” as the slogan. I can only assume that this means it has only recently found a home here across the border. Doesn’t matter though because I’m raring to try it! After tracking down my bottle opener for this twist proof cap I am welcomed by a robust soda aroma wafting from the lip of the bottle. It’s a stronger cola smell than Coke produces so hopefully we’re looking at a strong contender in the best cola category. Time for some drinkin’.